As someone at the top of the communications profession, what advice do you have for people marketing abroad? Surround yourself with motivated individuals. In PR and marketing it is important to be surrounded by creative individuals with original ideas. Meet with top professionals in the marketing industry, to observe how they work, and to learn their perspectives. Find a mentor who is willing to share his or her experiences in the marketing industry. What are your top tips for companies seeking to promote their products or services? To promote anything successfully, a marketing campaign should have originality and also simplicity in order to make an impact. What was the best advice you ever received at the beginning of your career? Keep things simple; think ahead; and always strive to improve. The lawsuit between Apple and Samsung over cellular phone patents was fascinating. Because the lawsuit attracted an enormous amount of media coverage it caught the public’s attention, and both companies were able to promote their technologies and brands. As a result, it increased brand awareness throughout the world. 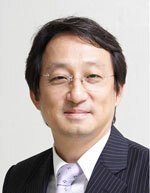 Jin Mu Cho has been Vice President of the Korea Business Communicators Association (KBCA) since 2006. From 1988 to 2011, Jin Mu worked at the advertising company Daehong Communications Inc., a division of the LOTTE Group, in Seoul, where he was Director of the Public Relations, Events, Marketing, and Administration Division. Jin Mu is a regular consultant and lecturer on topics including marketing, PR, crisis management, and events for the education institutions of The Korea Economic Daily and The HankyoReh daily newspapers, and at Yonsei University and Korea University. He is also a public relations advisor to the Korean Government since becoming a member of the Presidential Committee on Social Cohesion in 2010, and he was a public relations member on the Korean Anti-Corruption and Civil Rights Commission from 2010 to 2011.